We clean the substrate from dust, dirt, for good accretion of the mortar-shapes, thickness and textures. Level out the first line of where the stones will be placed. If we work on a absorbent substrate like gypsum board or wood, we have to apply primer to reduce the absorbency. Prepare mortar taking into consideration the amount of water for good accretion and the right consistency. Apply mortar on the installaton surface as much as needed so that it does not dry out when installing the stone. Lay out stones and mix from various cartons at least 2m² to create a ballance between different colours, shapes, thickness and textures. If the installation includes corners then begin from the corner of the wall & continue the installation in line with the flat elements. Using the spatula or resambing tool, perimetrically clean the stone from overlapping concrete for better installation. Since the back surface of the stone is dry wet it with water to avoid the absorption of water of the mortar. If empty gaps are large, fill them with stones by cutting them to the size needed. 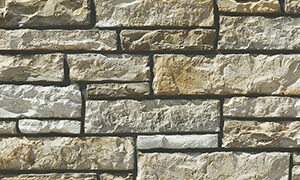 Apply mortar at the back surface of the Stone as much as possible so there is no gap between the stone and the surface. Place the stone by pressing hard to ensure a very good adherence of the mortar in the back surface of the stone. Fill the perimetric channel of the stone with mortar by using the spatula. Remove any excess mortar using a towel. Provided that there is a joint, in order to stabilize the stones small spacers can be used where it is needed. For the installation use a pastry bag or a grouting gun. In both cases effectively cut the end until the desirable width for the joint is achieved. Lay the mortar with a spatula or special tool. If mortars gets on the surface of the stone before it hardens (after ó or 1 hour) brush off the mortar with a soft wired brushed or hard plastic, do not use metal. When installing the joint the creation of vertical joints in parallel lines must be avoided. In case the stone surface dirties from the mortar it is recommended to clean it with a soft wire brush, a litttle before the mortar “hardens”. Do not try to clean when mortar is fresh and do not use metal. Clean the stones by using a dry paint brush. Decostone - Manufactured Stone Veneer by Mathios Refractories S.A.